F. H. Humphreys came to India for the first time in 1911 to join the Police Department as an Assistant Superintendent at Vellore. He started learning Telugu from S. Narasimhayya, a teacher. One day, before commencing his daily lesson, he drew a picture of a mountain cave, with a figure of a sage standing at its entrance, and with a small mountain stream flowing in front of it. He showed it to Narasimhayya and told him he had a vivid dream of it the previous night and asked what it could mean. Narasimhayya was convinced that the vision could be none other than that of the Maharshi at the Virupaksha cave. He then went on to describe the Sage's life of Supreme Realisation. It was in this way that Humphreys first came to know of the Sage of Arunachala. Within a few days he was introduced to Kavyakantha Ganapathi Sastri, and was taken by him in November 1911 to see Ramana Maharshi at Tiruvannamalai. "His body was the instrument of God . . . form which God was radiating terrifically. "The most touching sight was the number of tiny children up to about seven years of age, who climb the Hill, all on their own, to come and sit near the Maharshi, even though he may not speak a word nor even look at them for days together. They do not play but just sit there quietly, in perfect contentment." An offering from Sri Ramanasramam, Tiruvannamalai India. Frank H. Humphreys is a name quite familiar to the devotees of Bhagavan Sri Ramana Maharshi. Sri Bhagavan's biography, Self-Realization by B. V. Narasimha Swami, has two chapters on Humphreys, giving a brief sketch of his life and Sri Bhagavan's instructions to him. When Humphreys visited Sri Ramana Maharshi in 1911, he conveyed to Felicia Scatcherd, who was then editing the International Psychic Gazette, London, his impressions of Sri Maharshi and His instructions. These were compiled into a booklet in 1925 and the chapters in Self Realization are only extracts from this. Humphreys narration of his experiences with Sri Bhagavan is so simple and arresting that the readers find in it an excellent presentation of Bhagavan's teachings. S. Narasimhayya who wrote the introduction that follow was a Telugu Munshi in Vellore. He was a disciple of Sri Kavyakanta Ganapati Muni and Sri Bhagavan. It is he and Kavyakanta that brought Humphreys to Sri Bhagavan. "Police service did not prove congenial to Humphreys. Sri Bhagavan advised him to attend to his service and meditation at the same time. For some years he did so and then he retired. Being already a Catholic and having understood the essential unanimity of all religions, he saw to need to change, but returned to England, where he entered a monastery." I do not like to stand between the earnest reader and this interesting piece of religious literature. But weak as I am, I shall do what little I can, being asked to do it. 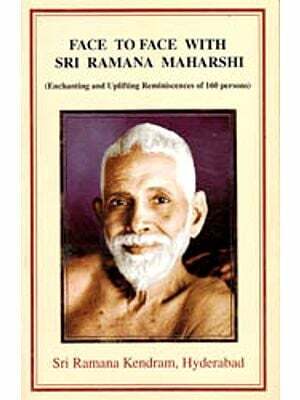 This is an impressive and instructive description by a young man (eager in search of Mahatmas for enlightenment) of his visit to, and experiences with Mahatma Sri Ramana Maharshi, a living Saint of South India who is known and revered as having attained the goal of the Vedantic religion, and who is the fountainhead of the soul-force to humanity in these days of rampant materialism. The description is concise and vivid and needs, in my opinion, no preface or introduction. In the Master's presence, what a great vibration there is in the body, and how elevated the mind and invigorated the spirit are, a man can only feel but cannot express. 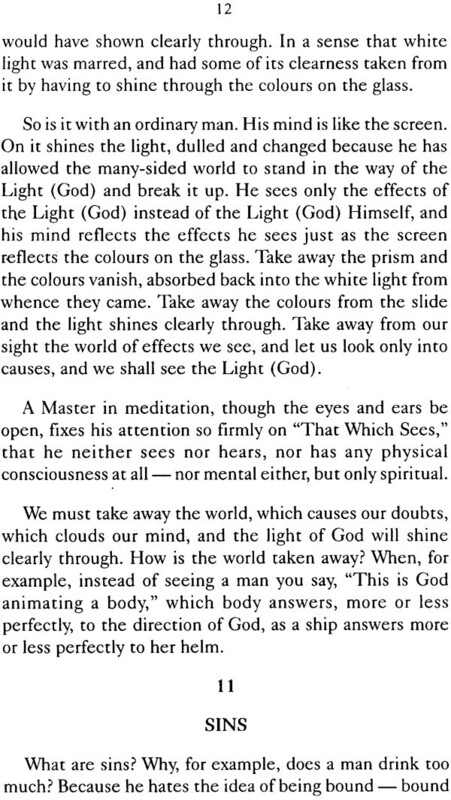 The Master's teaching is just what is needed in these times, when men are short in life, weak in body, and feeble in spirit, their entire attention being drawn to things material - apparent and temporal - in preference to what is spiritual - real and eternal. The whole teaching of Mahatma Sri Ramana Maharshi turns on the only pivot: "Knowest thou thyself, thou wilt know everything and wilt have no more to know." He advocates a very simple process of enquiry, viz. "Who am I"? A pure and constant thought of Atman - devoid of form, name and attribute - takes the thinker to the source of all thoughts - the heart, where the enquirer and the enquired are merged, or in a way lost in the enquiry, which is Mukti, liberation or Self-realization. 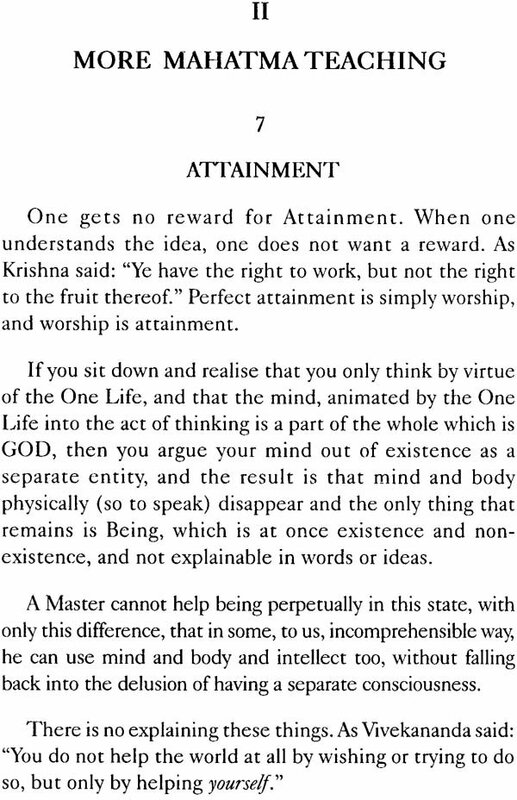 This realization is the real worship of Atman - God within and without. 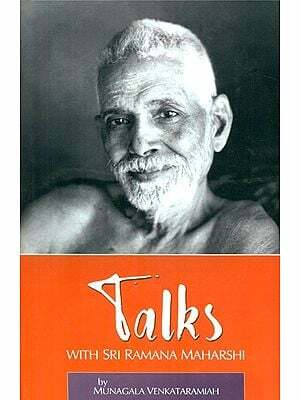 The author of this attractive booklet seems to have gathered information about Sri Ramana Maharshi from various sources and at different times. A word or two as to how it was that Mr Frank H. Humphreys chanced to hear of our Maharshi and visit him and be brought into the roll of his admirers, may interest the reader. F. H. Humphreys came to India as Assistant Superintendent of Police in January 1911. When he reached Bombay he was so bad in health that he had to be taken to the Bombay hospital where he remained up to the middle of March. He arrived at Vellore on the 18th of that month. When I went to him that day to begin Telugu alphabets, the first question he put me was: "Munshi! Do you know astrology?" I said I did not. The next question was: "Can you get me an English translation of some book on astrology?" I complied with his request by getting him a copy from the George Union Club, Vellore. 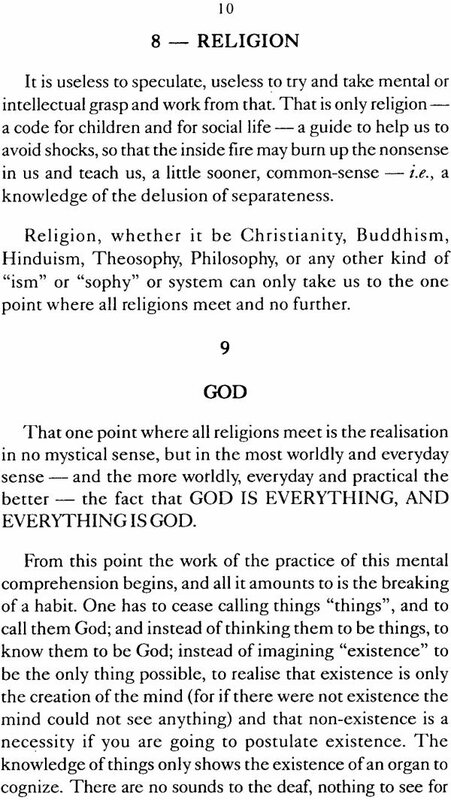 On the morning of the next day, the 19th, while returning the book to me, he asked me: "Do you know any Mahatmas here?" I feigned not to know any sage and denied the knowledge of any such great men. On the morning of the third day, the 20th, he came upon me with a searching and vehement question: "Munshi! You said yesterday you did not know any Mahatma. I saw your Guru this morning in my sleep. He sat by my side. He told me something which I did not understand nor did he, what I said to him. The first man in Vellore whom I met in Bombay was you." When I questioned him how it was that he saw me in Bombay, though I had never travelled beyond Guntakal, he said that when he was lying with high fever in the hospital at Bombay, he, in order to be free from pain for a while, diverted and directed his mind (attention) to Vellore and, in his astral body, the first man he met there was 1. I left him saying I knew not anything about the astral body or any body for that matter save the physical one. Curiosity however tempted me to test him, and in the afternoon, I took to him a bundle of photographs of great men including those of our Maharshi and Ganapathi Muni. I silently placed the bundle before him on his table and quietly went to Mr L. Clift, another police gentleman whom I was then teaching. When I returned to the writer of this booklet an hour later, he invited me with the words: "There is the likeness of your Guru. Is he not your preceptor? Tell me." Thus saying, he pointed to me the photograph of our Ganapathi Sastriar, separated from others. This act of his surprised me. I was caught and I could not hide me or my master. I had regarded (and I do still regard) Ganapathi Sastriar as my Guru. 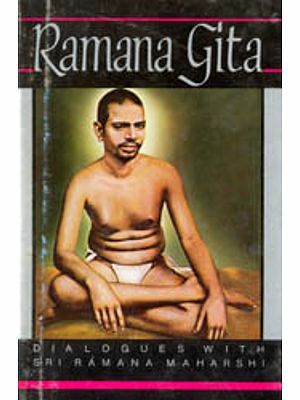 In 1906 he taught me how to concentrate and directed me to divert and fix my attention on Paramatma, known as Sri Ramana, a name dear to my heart. 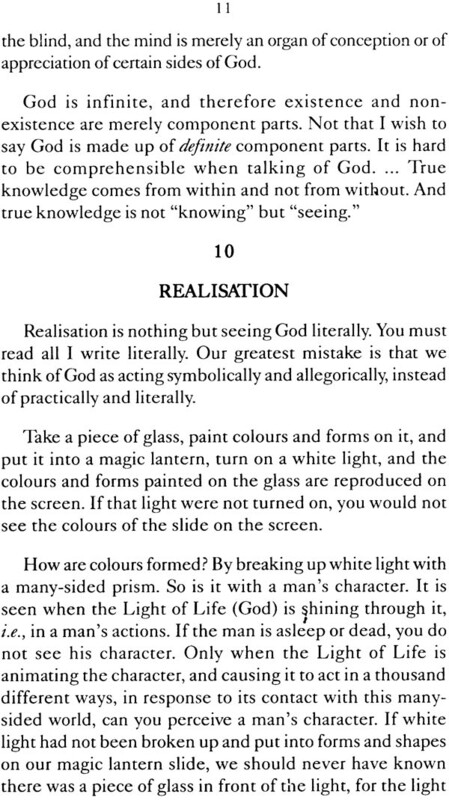 Sastriar's instruction is not different from that of our Maharshi. Mr Humphreys again became ill and was advised by a doctor to go to Ootacamund which he did on 1st April 1911. While there, he wrote to me about his meeting a strange person, poorly clad but well-built, with bright eyes, matted hair and a long beard. The gentleman with whom Mr Humphreys was staying on the hills said to him that he had never seen that strange man, though he had been living there for several years. Mr Humphreys asked me who that man could be. I simply answered that, judging by the description he gave me, I thought he ought to be a siddha.